I’ve also been following with interest the discussions of the newest translation of the Odyssey by Emily Wilson that is making waves in certain circles by it’s going back to the roots of the original language and retranslating it for meaning that speaks to current society rather than to Victorian society. And I’m reminded of a Stargate Atlantis fanfic “Free Verse” by Dasha that includes the line: “They built their laboratories to look like temples. Of course they wrote their text books to read like poetry.” And references the poem “The story of Schroedinger’s cat (an epic poem)” from The Straight Dope. So despite not being a great fan of poetry in general, I’d be really interested in modern epic poetry coming back into fashion and seeing what modern authors do with it. This is a really gorgeous piece of writing. 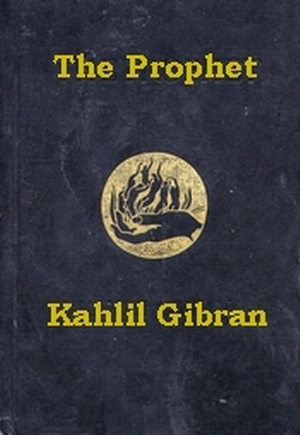 The version I read was also a beautifully illustrated version, with Gibran’s own illustrations. The text also happens to be available online for free. It is essentially a collection of poetry essays addressing a variety of issues regarding life and faith and living life in a spiritual manner. While it’s relatively short (less than 90 pages in the version I read), it is not a quick read. It is made up of 28 chapters and it’s the kind of text that you can read a bit at a time and spend a lot of time thinking about. The wording is beautiful, the imagery is beautiful, and the philosophy is beautiful. In many ways, it reads a bit like the very best of Bible passages, but while it’s clearly deist, it’s not any one religion. I highly recommend it to pretty much everyone ever. But anyway, I highly recommend it. Go forth. Read it. Or listen to it. Whichever.